Epic Games revealed their hand for Patch 8.20, and the company is apparenly set on dividing the playerbase between casuals and “sweats.” That’s why Patch 8.20 will go down as one of the most controversial patches in the history of Fortnite. Here’s everything that you need to know about it. All playlists that are not part of an event or the new arena mode will no longer have the pop-up cup rules that were implemented in Patch 7.40. On one hand, there’s finally a supported ranked mode. On the other hand, pubs have devolved back into a slow-paced war of attrition. This is where the divide lies, and only time will truly tell whether or not this change is for the better. The day has finally come—Fortnite is fully supporting a ranked mode for solo and duos. Epic Games has brought in a point-based progression system that makes each kill and placement point push you into the next division. Everyone loves the good ol’ ladder climb, it’s the tried and true ranked system. Hop into a game and test your skills. It’s very clear that the Baller is unhealthy for the competitive side of Fortnite, and with a fully supported ranked mode, Epic Games knows that the Baller needs to be addressed. However, in true Epic Games fashion, it’s delaying changes until Patch 8.30. We’re going to to be terrorized by the hamster ball for at least another week. The Infantry Rifle has been a household meme since its inception, but today is the day it graduates and moves on into the real world. It will now be a hitscan weapon at the cost of reduced damage, which is totally worth it. Expect the Infantry Rifle to be used against you when you’re in the middle of a fight or late rotating in the end game. The Poison Dart Trap is a new utility item in this patch, and it’s poised to be mediocre at best. You place it just like an ordinary damage trap, but it deals damage over time, just like the stink bomb. In other words, it’s an annoying item, but don’t expect it to change the meta at all. These are the five major changes of Patch 8.20. 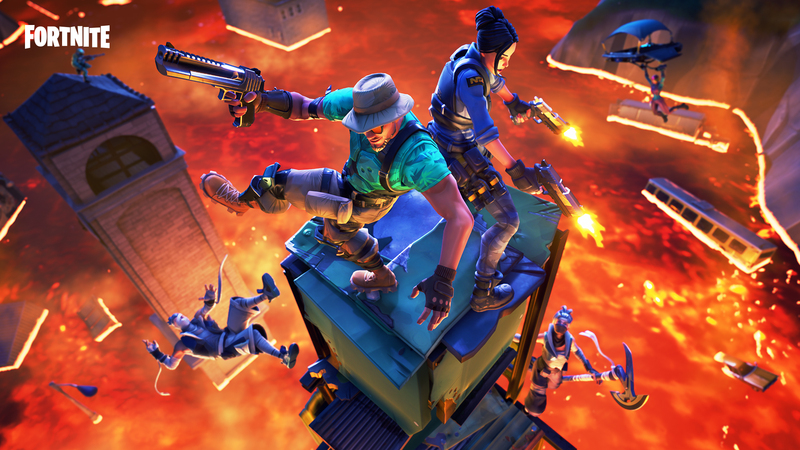 Most people will have a lot to say about the siphon changes being removed and a dedicated ranked system being added, so let us know what you’re thinking in the comments below.